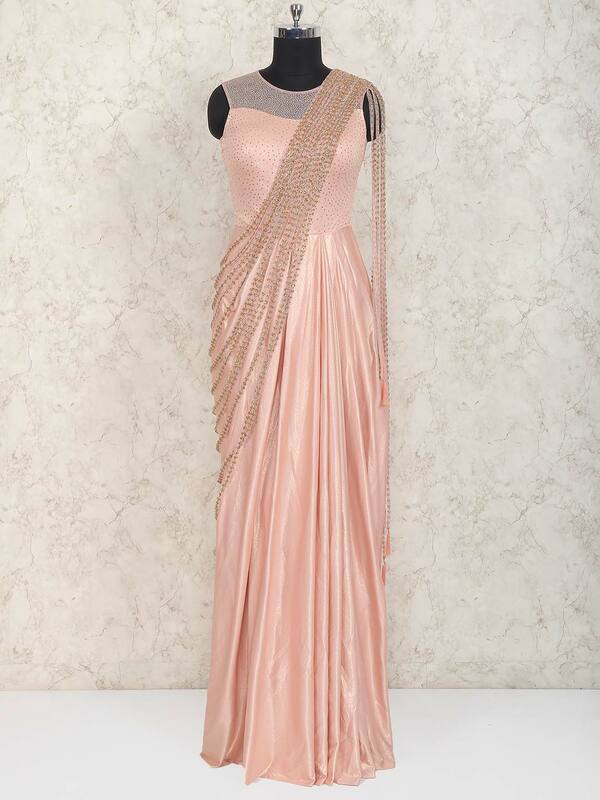 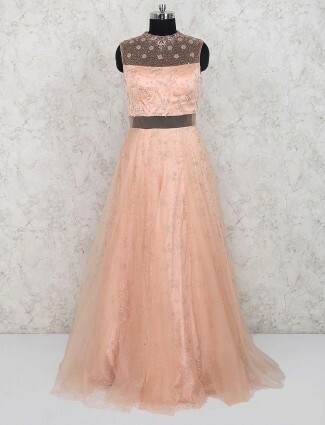 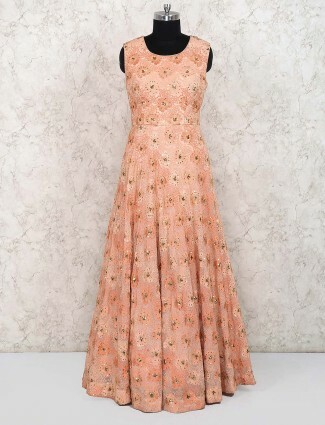 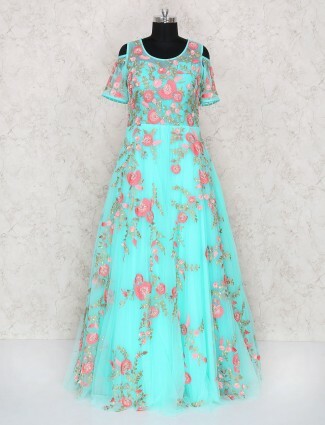 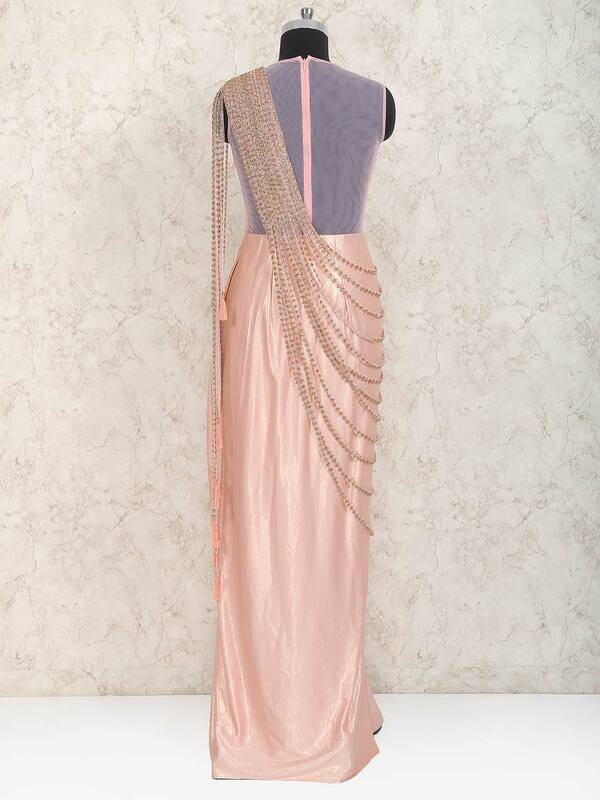 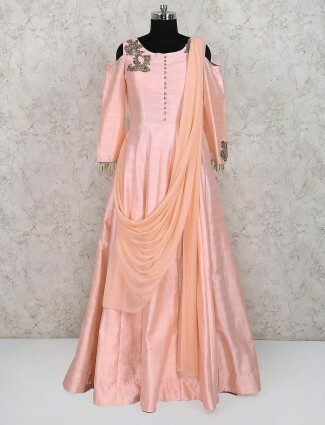 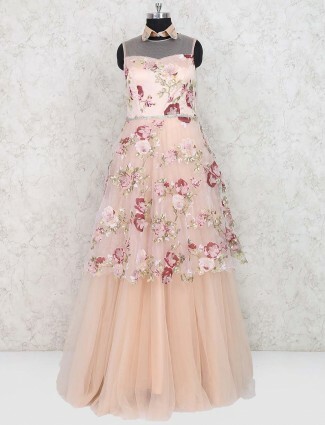 Magnificence will come out from your gown design with this peach colored floor length designer shimmer fabric gown. 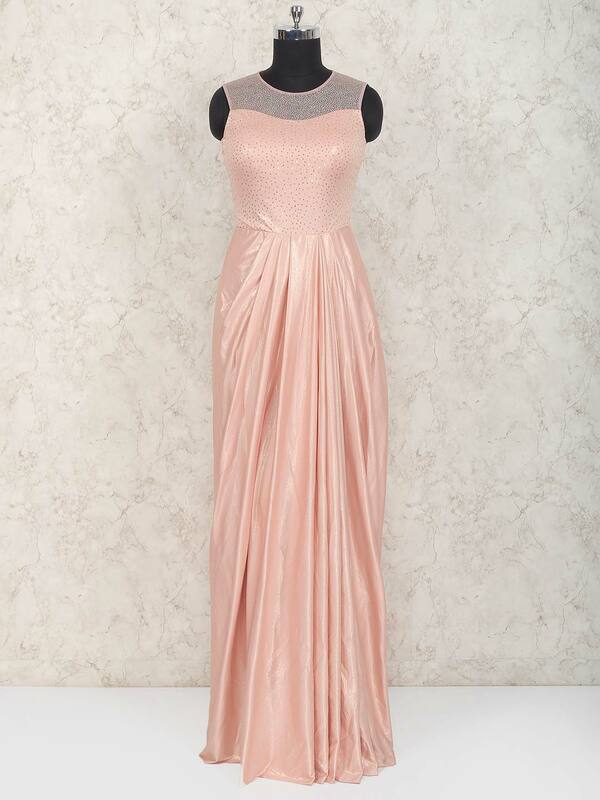 Prettify with sequins work at yoke. 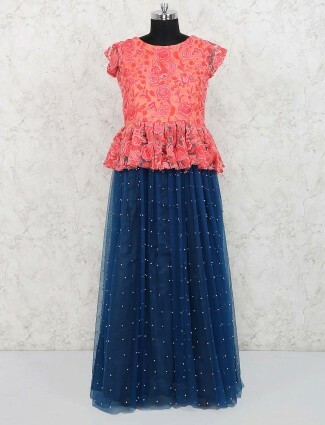 It has round neck and sleeveless design.